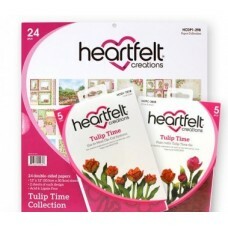 It’s time to shake off the wintertime blues and greet the spring season with the breathtaking Tulip ..
Do you love everything in the collection like we do? 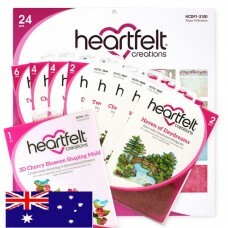 We’ve bundled it all together to give you a bet..
Beautiful gardens filled with warm rays of sunshine, skies of blue, and trees filled with fragrant c.. 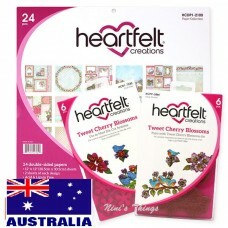 Celebrate the highly anticipated arrival of the upcoming spring season with the new Burst of Spring ..
Purchase all the Elegant Tags dies Sentiments stamps for a 10% savings.Products Included:Ticket and ..
Full Recommended Retail Price is $324 AUD Tantalizing treats showcased in beautifully decorated dis..
Bring out your inner fashion diva with the new Floral Fashionista Collection from Heartfelt Creation..
Take a walk along the edge of the deep blue sea, feel the warm sand between your toes and breathe in.. 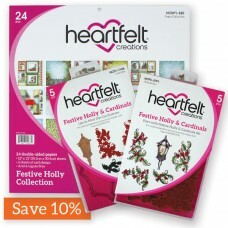 Celebrate the “holly-day” season with the new Festive Holly Collection by Heartfelt Creations! 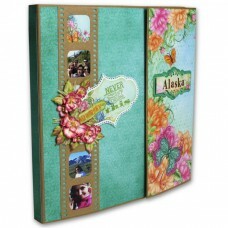 ..
Butterfly Dreams Collection includes: Butterfly Dreams Border DieFluttering Butterfly Die..
Dust off those boxes of old photographs and turn them into a beautiful heirloom show piece with the .. 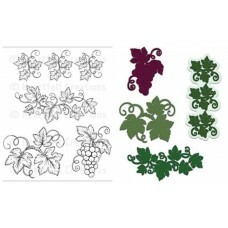 Stylish and stately, the Lacey Diamond Dies are magnificent for adding a touch of class to any paper..
Purchase all the Elegant Tags dies at 10% off!Products Included:Ticket and Tags DieAlbum Tags and Ac.. 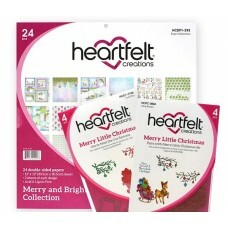 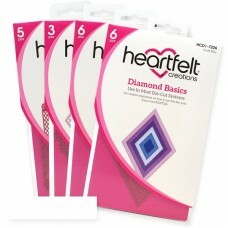 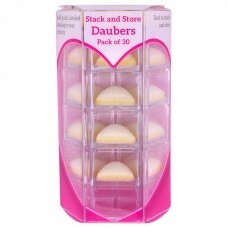 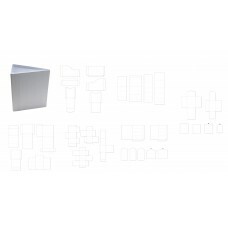 This grab bag contains 1 paper pad, 50 double sided paper sheets, 2 dies, 2 stamps and 1 card kit. 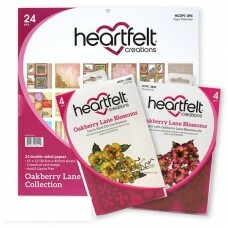 &..
Full RRP $115 AUD Tantalizing treats showcased in beautifully decorated display windows draw you t..
Reminisce of days gone by when laughter filled quilting bees were a treasured outing filled with cha..
Come along as we head deep into the woodlands to explore the world of Oakberry Lane…the newest colle..
Glistening winter scenes filled with freshly fallen snow, pine boughs draped with shiny holiday orna..
Beautiful floral fabric, delicate trimmings and charming buttons accompanied by delicate hand-stitch..
Prills are small, round, Pearl-Like accents for all arts and crafts. 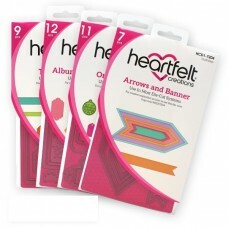 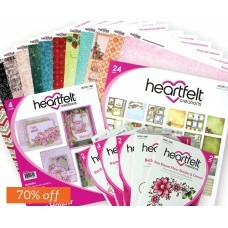 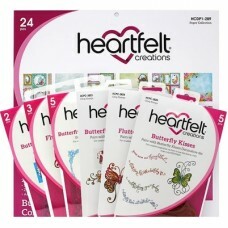 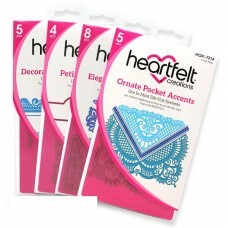 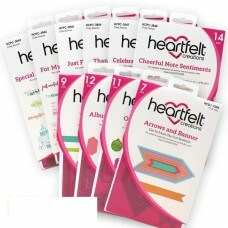 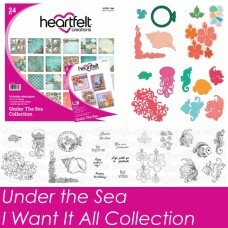 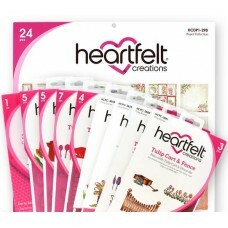 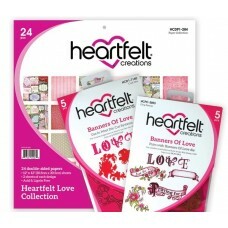 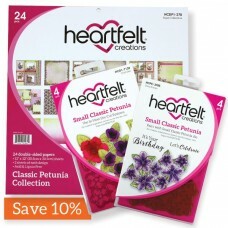 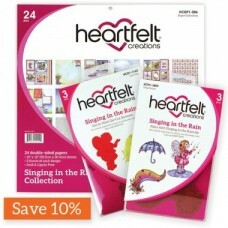 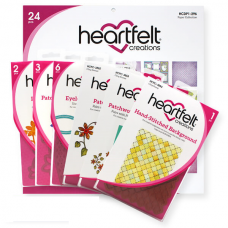 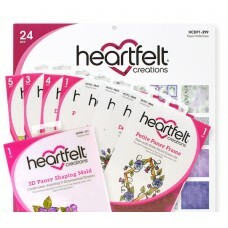 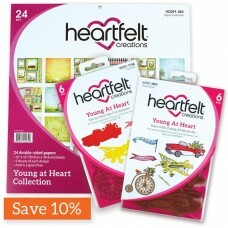 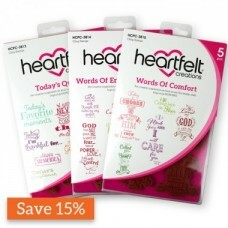 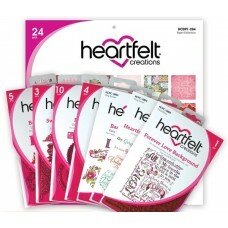 Adhere with any clear dry..
Hit the open road with the Young at Heart Collection by Heartfelt Creations! 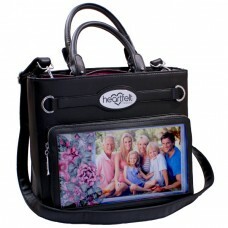 Retro in style, this fu.. 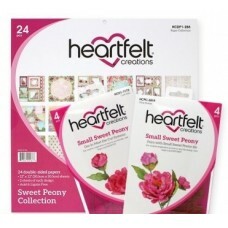 Sweetly fragranced, and delicately airy, the graceful peony flower is a breathtaking and dreamy blos..
It’s time to cast off the winter time blues and enjoy those April showers that bring May flowers wit.. 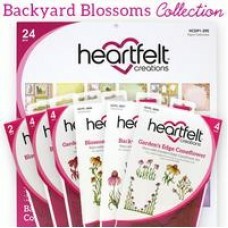 The elegant, and well known lilac blossom takes center stage early in the spring season and is one o.. 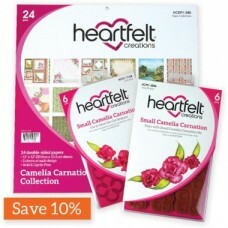 Thought to be one of the oldest cultivated flowers in the world, the carnation is traditionally asso..
Are you ready to change the world one paper craft at a time? 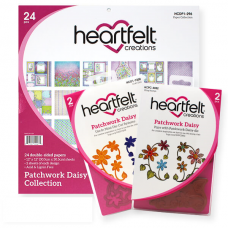 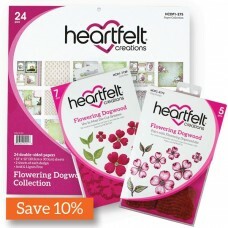 Spread love and encouragement wherever ..
Heartfelt Creations invites you to usher in the spring season with the new Flowering Dogwood Collect.. 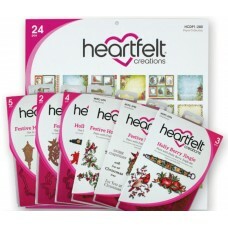 Celebrate the “holly-day” season with the Festive Holly Collection by Heartfelt Creations! 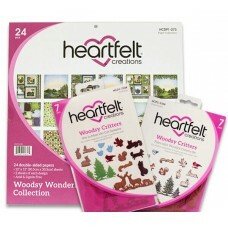 Charming ..
Take an adventure on the path less traveled and lose yourself in an enchanting woodsy wonderland fil..
Church bells ring out and there’s an excitement in the air! 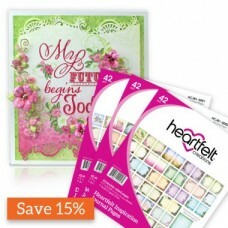 Loved ones have gathered together to cel..
Move on over spring, and let summer begin…the Classic Petunia Collection by Heartfelt Creations has ..
Beautiful in color, exquisite in fragrance, and ever so dignified, the rose is one of the most covet..
Each of the double sided pages within the compilation comes lightly lined for ease of penmanship ent..
Sale is for both the die and stamp set of italiana grapevines ..
Sale is for both the stamp and die set from this collection Two beautiful light and airy chrysanthem..
Add a unique touch to your card making by beginning your project with an interactive foldout card ba.. 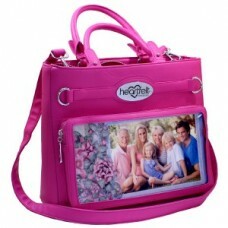 This Art from the Heart Handbag allows you to showcase beautiful moments and your dimensional handcr.. 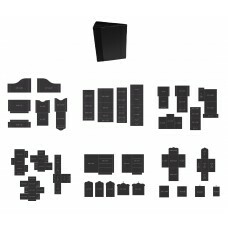 Creating a stunning, interactive flip fold album can now be accomplished quickly and with ease! 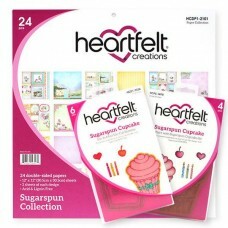 Begi..
A genuine dose of encouragement is good for the soul, and with the Inspiration Stamp Bundle you will..
Take your coloring to a whole new level with the Stack and Store Precision Sponge Dauber! 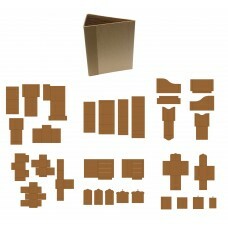 The unique.. 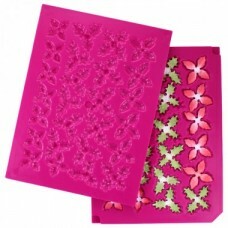 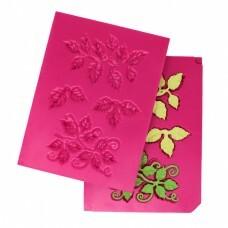 This smooth premium cardstock is an excellent choice for coloring and shaping dimensional florals. 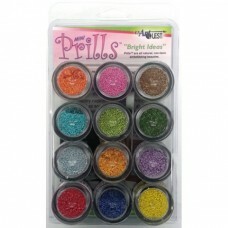 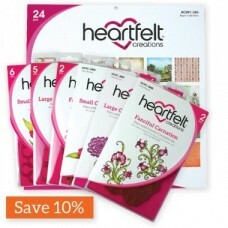 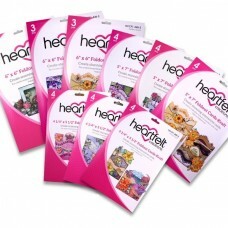 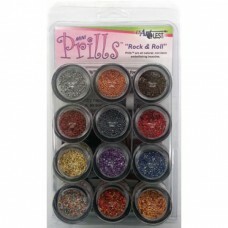 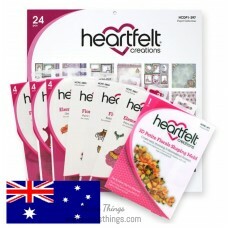 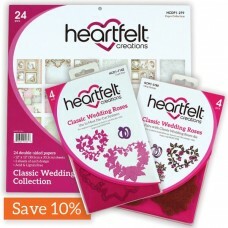 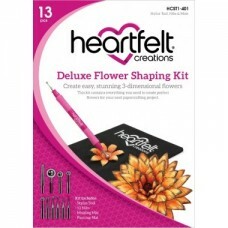 R..
Lifelike flowers are at your fingertips with the Heartfelt Creations Deluxe Flower Shaping Kit. 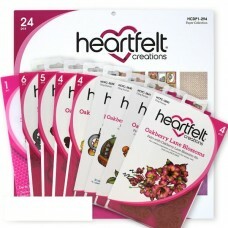 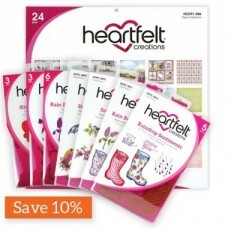 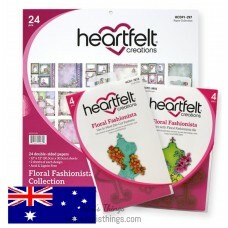 A fo..
Add a touch of the springtime season to all of your paper craft creations with breezy, dimensional a.. 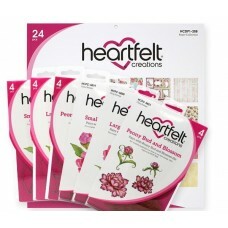 Create beautiful, dimensional and realistic roses perfect for all of your paper crafting needs! 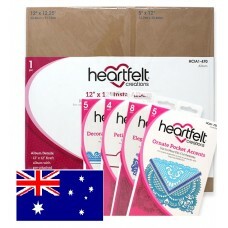 Desi.. 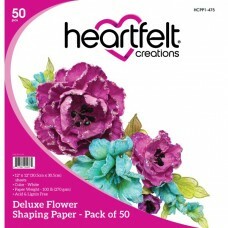 Create dimensional, festive poinsettia and holly clusters for all of your winter holiday paper craft..
Delightfully delicate and diminutive florals are the perfect accents to customize your one of a kind..
One of the first flowers of the spring season, the cheerful pansy is a well-loved favorite among gar..
Bring a touch of old world charm to all of your paper craft creations with delicate, dimensional and.. 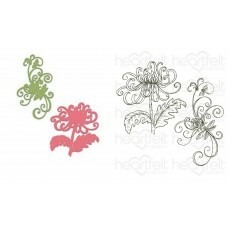 Create lush leafy foliage to accent all of your beautiful flower clusters quickly and with ease! 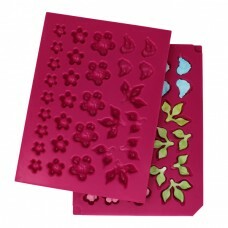 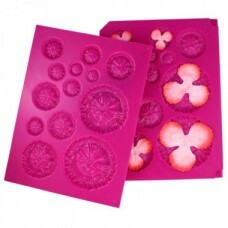 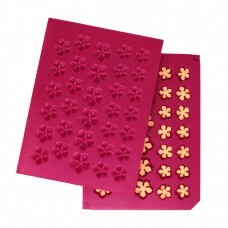 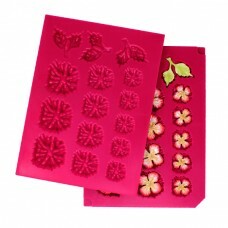 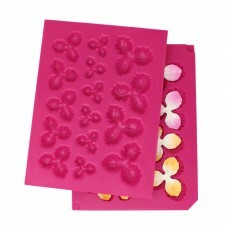 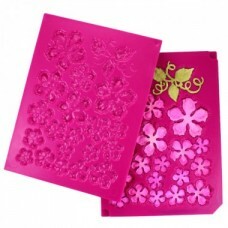 Des..
Quick and easy to use, the Floral Basics Shaping Mold is a wonderful tool to begin the flower shapin.. 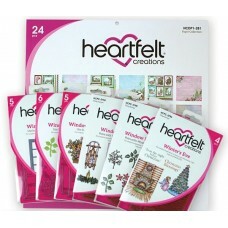 Adding delicate cherry blossoms to all of your paper crafting projects is quick and easy with the 3D..
Add a touch of whimsy to your paper craft creations with the delightful wildflower found in the wood..
Regal and elegant, the Intricate Swirl Frames Die is sure to lend a touch of grandeur to all of your..